Established in 2004, Gray Matrix is an organisation that solves IT-related problems. Their product, Team Tracker, a mobile and desktop application helps employers track their employees and communicate with them along with keeping a tab on their attendance. The founding duo of Dharmesh Kothari, 36, and Santosh Maharshi, 38, have worked with many field sales and support companies where they invest a lot of time in making simple location-based decisions without a solid system to optimise the field staff. That is when they came up with the idea of Team Tracker where an organisation can manage its field staff in real time, the way flight operations are managed. 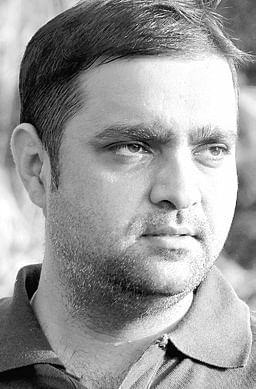 Dharmesh has five years of diverse experience in companies like Hungama.com, TechMahindra and Rediff.com from 1999 to 2004 after which they founded Gray Matrix. Santosh worked with Microsoft, MSN SEA and Rediff in various positions in Singapore and India. Team Tracker took a team of 15 people to develop the app right from conceptualisation, designing, and building, to testing and launching. “Organisations that need to know their employee’s location and make decisions based on their proximity and availability will find Team Tracker very useful, as it not only saves time but also helps bring more business,” says Dharmesh. Team Tracker helps you know the location of your staff and how far away they are. The enterprise service is available for a monthly subscription of `180 per user while it works out to `150 a month if the subscription is annual. They consider COTAP and SLACK as their competitors although none of them integrate the location feature and real-time optimisation of the mobile workforce. With revenue from Gray Matrix, they did not have to knock the doors of investors when they started with Team Tracker. As they are currently in their launch phase, Team Tracker is offering a free trial period for companies to test its products and are also in the process of integrating various softwares that the clients have requested for integration with.